What’s Included: 7 nights, daily breakfast and dinner, group transfer from/to Paris CDG Airport; English-speaking guide, bicycle rental, all entrance fees, support vehicle and our famous t-shirt. … the Île-de-France and neighbor regions, enabling the happy combination of biking and barging. Our France Seine & Loing Bike and Barge trip gives you idyllic days of biking crowned by a full day in the City of Light. Home for the trip will be your barge, a neat little craft designed for the smaller locks and canals of French waterways. Cabins are below, on the lower deck, each has twin beds (no bunk beds) with private bath, while the upper deck houses the salon, a roomy lounge, cozy bar and the sun deck. These practical and comfortable vessels are well designed for their tasks. You will relish coming back to the same cabin each night, unpacking once rather than daily. 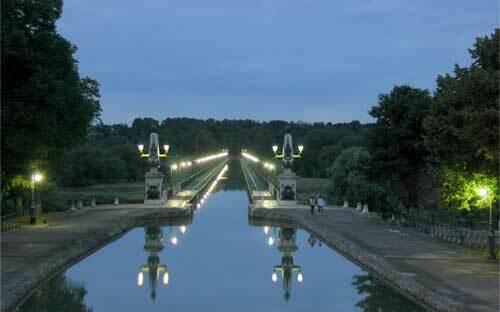 Arriving at Paris Charles de Gaulle Airport, you’ll be met and transferred to Paris, where your barge will be moored. The following morning hop aboard the Paris Métro to travel to Père-Lachaise for a guided tour of this fascinating cemetery of the famous and final home for countless illustrious cultural and political leaders. Enjoy an afternoon in the center of the city where you’ll be on your own and faced with the agreeable prospect of several hours to spend enjoying Paris. You can savor your barge-eye-view from the sun deck or the salon as we barge from Paris south along the Seine river. 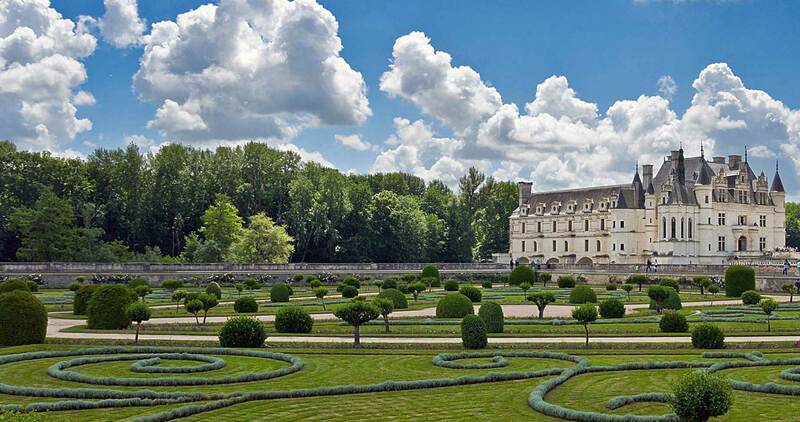 Our bicycling routes will takes us to medieval towns like Moret-sur-Loing and through lovely forested countryside with stops at impressive châteaux like Vaux-le-Vicomte, Château de Fontainebleau, a museum of antique bicycles, and the marvelous sculpture garden of Antoine Bourdelle. Breakfasts and dinners are all on the barge, but you’ll be on your own for lunches in convenient towns along our way, free to sample the local specialties. 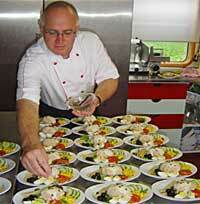 The barge chef buys locally, too, so you’ll be eating as the natives do. In France, this can’t go wrong. 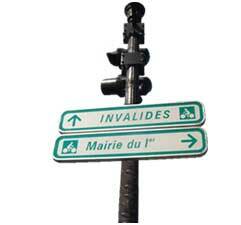 The last bicycle ride is to Montargis, the “Venice of the Gâtinais”. Is it enough to say that pralines were invented in Montargis? Your journey ends in this picturesque village where you will join your fellow cyclists for the farewell dinner on the barge. The next morning, you’ll be transported to Paris Charles de Gaulle Airport for departure.